I am embarrassed to admit that I have had my Cricut for almost a year and have yet to make cards with it! It is such an easy way to save money and create a custom card for someone. 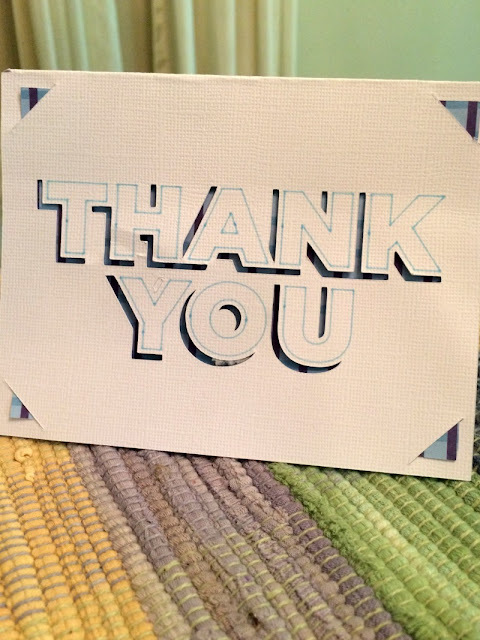 Recently, I needed several "Thank You" cards for my AWANA volunteers at church, so I thought it would be the perfect opportunity to make my own. I also learned how to use the Cricut pens in the process. I wanted to keep it simple for my first attempt at using the pens to make a card, so I searched the Cricut Design Space for a Make It Now project. I decided to use this simple layered cut out card. The Design Space and the Cricut Explore Air makes writing super easy. It has a housing that can hold the pen and the blade at the same time, so you can write and cut in the same step! You just insert the pen into the holder until you feel it click, then close the clamp, then start cutting your project! Cricut has a variety of pen colors to choose from, including pastel and metallic! I chose the light blue for my card to coordinate with the blue pattern on the cardstock I was using for the layer that shows through the card. 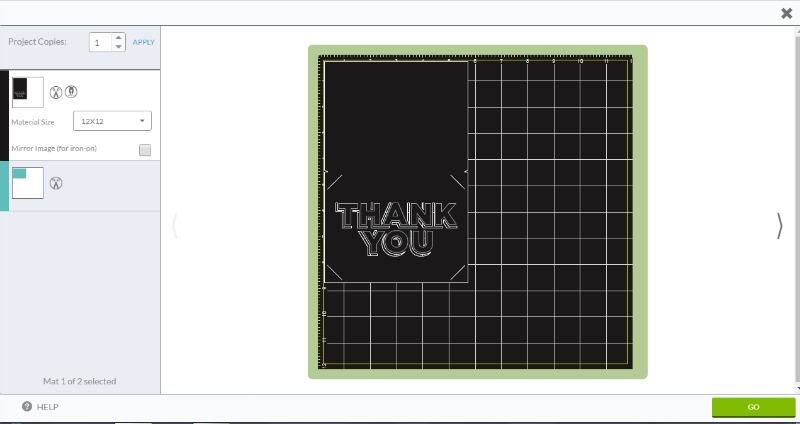 Once the machine has finished writing and cutting the card, the Design Space will prompt you to change out your mat so it can cut the back layer. Once the machine has cut the two pieces, simply insert the back layer into the slits on the front of the card and fold it at the crease! Easy peasy! I then used glue dots to secure a gift card inside. 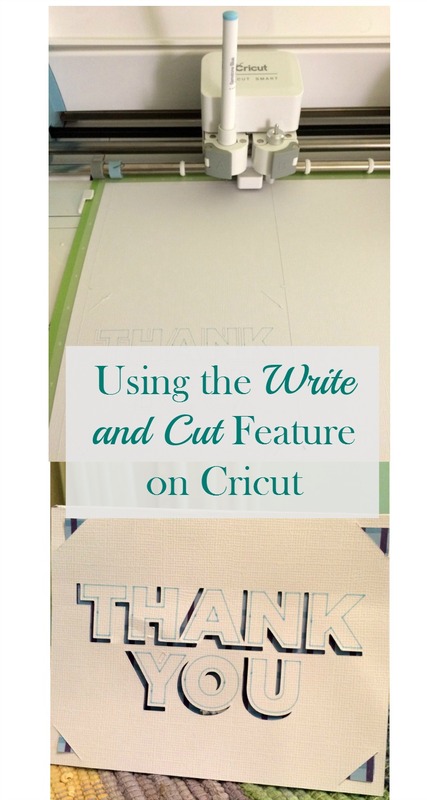 Have you tried the Write and Cut feature with your Cricut? If so, what have you made? Check out my other Cricut projects HERE. Disclosure: I am part of the Cricut Blogger Program and may receive supplies to complete my projects, but all thoughts are 100% my own. 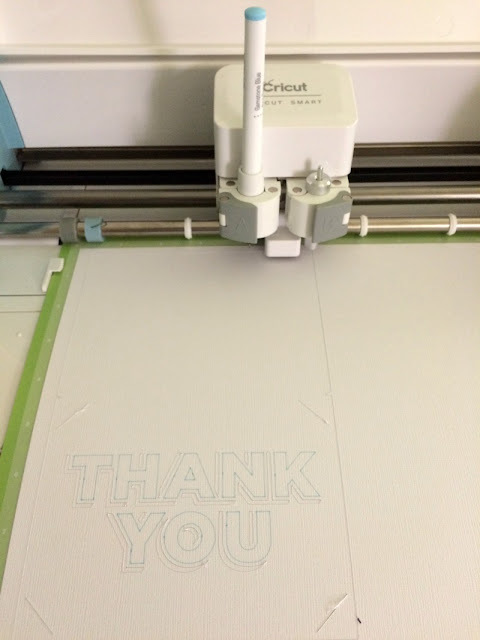 I love my Cricut and am excited to share my projects with you! I really want a cricut! 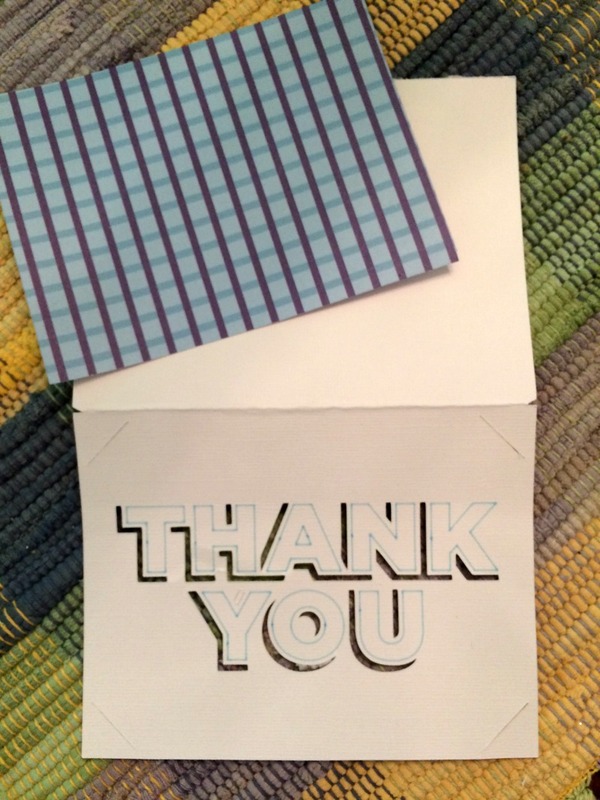 I love how your thank you card turned out! Thanks! You should try one! The Cricut Pens are one of my favorite tools to work with. I will definitely be using them more often now. 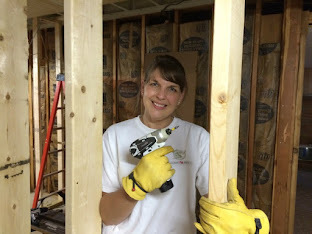 Love your post...I am looking for Thank you cards for my Awana Directors!! Love you comment! 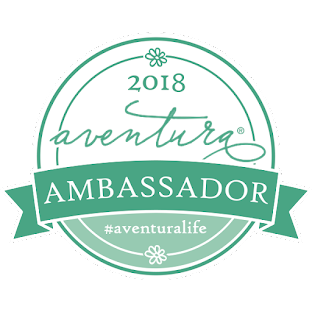 I am looking for thank you cards for my Awana directors!! !